The two essential ingredients for terrorism to succeed are its extreme violent means to create fear among the masses and its ability to remain unpredictable by switching strategies. Todd Sandler, a Professor with the University of Texas has defined three stakeholders in terrorism: firstly, the perpetrators, secondly, the victims, and thirdly, the audience. The target of acts of terrorism or violence is often to influence the audience. The audience consist of the state, neutral masses, security forces, media, global community and the terror organisations themselves. When institutions of governance start bending at the dictate of terrorists, it is a sign of the strategies of the terrorists succeeding. The state is forced to accept the demands of terrorists which shows the loop holes in the strategy and lack of forethought on the part of the government machinery. A new strategy is on the horizon in Kashmir where the Hizbul Mujahideen terrorists had kidnapped 14 kin of police and security forces. They were finally released after four of the kin of terrorists arrested on terror charges were released by the Jammu & Kashmir Government without any legal formality. One cannot expect moral high ground from the terrorists but at the same time the State must have strategies to deal with such unethical practices of the terrorists. The serious issue that needs to be debated is that while the terrorists continue to switch their strategies, the State continues to maintain status quo and is focused on adopting the moral high ground. This has resulted in government agencies conceding space to the terror organisations. While the State is able to inflict physical casualties on terrorists, it is unable to hit back in the psychological and emotional domain. When the authority of the rule of law is questioned and the power of the state is eroded by unethical practices of the terror organisations, it is an indication that terror organisations are taking over public and private space. National interest is supreme and thus whatever is required to be done to protect the integrity and sovereignty of the State is beyond morality. In view of the above, this paper opines there is no moral taint in fighting with the adversary adopting the same strategy as chosen by them and such a course of action is fully justified. If the State remains predictable in its actions, terrorists will continue to surprise the State and its security forces. The war on terror that India is fighting in J&K should be dynamic and unpredictable to break the strategies of the terrorists and the ISI of Pakistan. In the instant case, for quite some time, terror organisations were hinting that the families of security forces and police personnel are a fixed deposit that they can cash anytime. Unconditional release of four terror suspects/ overground workers (kin of terrorists) is an indication that terrorists will continue to exploit such soft targets for their objectives in future. The next potential target of terror organisations could be the executive and judiciary (if not already done) to subvert the two most important pillars of governance. As and when the cases of terror suspects and overground workers are brought up for finalisation, terror organisations are likely to adopt such tactics to influence the judiciary. It is a known fact that in the last 30 years, no terrorist has been either given the death penalty or a life sentence for waging war against the State or for acts of terrorism in J&K. Even the Pakistani terrorists apprehended in J&K during encounters have been let off with charges such as illegal possession of arms and crossing over without a valid visa. So far, not many terrorists even of Pakistani origin have been tried for waging war against the country. One of the main reasons for this is coercion against the judiciary and the executive, as a result cases linger on for decades without conclusive evidence. Jammu Kashmir Liberation Front (JKLF) leader Farooq Ahmed Dar alias Bitta Karate had admitted on camera the shocking details of having killed 20 Kashmiri Pundits. However, he was released by the court since the police failed to produce evidence. While releasing Farooq Ahmed Dar on bail in 2006, the TADA court judge N.D. Wani remarked: “The court is aware of the fact that the allegations against the accused are of serious nature and carry a punishment of death sentence or life imprisonment but the fact is that the prosecution has shown total disinterest in arguing the case”. The judiciary and police overlooked Farooq Ahmed Dar’s own admission and granted bail. What could have been the reason? As per the Judge, charges that were framed against him were so flimsy that it did not justify his detention for 16 long years. In spite of having admitted to killing of 20 people, he was considered no threat to society and granted bail by the court. He was portrayed as a victim by a lethargic system. The charges of waging war against the nation, ethnic cleaning and mass murder of 20 Kashmiri Pundits were somehow not highlighted and he was detained under violation of Public Safety Act. He in turn used the familiar excuse of stating that his statement of having “killed 20 Hindus” was extracted from him under duress. Thus, it is not a coincidence that the institutions of the State had failed to apply the rule of law, it is because our laws of evidence have so many loopholes that any hardened criminal or terrorist can escape retribution. “Dark” times require draconian laws. A situation of terrorist threats to the security of a State cannot be equated to a law & order or a public order threat to citizens. The writing is clear on the wall: if not already a target, the judiciary will be next after the police. We need to understand that terrorists are “going dark,” causing law enforcement to “go blind.” This phenomenon is one of the greatest counterterrorism challenges of the 21st century and is making it harder to stop acts of terror. Today, the terrorists are moving at the speed of broadband and government response is at the speed of bureaucracy. It is obvious that the terrorists will always remain ahead of the State in switching strategies and surprising the State machinery. Terrorists are violating every norm of human behaviour and human rights whereas security forces are being restrained even to take legitimate actions in Kashmir. This mismatch has given terrorists another weapon to whip the security forces through the human right hawks and left wing liberals. What must be done to salvage and prevent such a situation to unfold in future? We need to enable frontline counterterrorist forces legally and materially. It is time for the counterterrorist forces to ‘go dark’ to fight the invisible and amorphous adversary. Going dark does not mean complete disregard to human rights but it means to adopt the means to strike before terrorists could strike and plug the legal loopholes which enable terrorists who have committed the most heinous of crimes to escape. While the State is able to inflict physical casualties on terrorists, it is unable to hit back in the psychological and emotional domain. When the authority of the rule of law is questioned and the power of the state is eroded by unethical practices of the terror organisations, it is an indication that terror organisations are taking over public and private space. The response of the government will improve if there is unity of command. As of now, we have a complicated command and control structure where counter terrorism agencies are operating under three different ministries and often following paths and procedures divergent from each other. Thus, response obviously will be at the speed of bureaucracy and not at the speed of cyber or broadband. Inability of the government to deal with the unarmed jihadi/overground workers is also one of the reasons for allowing anarchical situation to arise. All cases related to terrorism should be investigated by NIA and not by local police for which the NIA needs to be strengthened. Terror related cases should be finalised by a TADA court outside the state so that the local police is not under coercion or threat. These cases must be finalised in time bound manner so that the evidence is available and witnesses are present before the vagaries of time lead to dilution in both of them. Institutions of the state must not succumb to the coercion and threat of the terrorists because that is the motive and objective of these terror organisations. We must ensure that prisons do not become centres of radicalisation and recruitment. Kidnapping of the kin of security forces and release of prisoners should not be taken as just one of the events. It is a serious issue and must be treated as such. 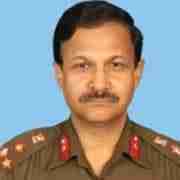 Brig Narender Kumar, an Infantry Officer, commanded a Rashtriya Rifles Battalion in J&K and Assam Rifle Sector in Manipur. He is currently Distinguished Fellow at United Services Institution of India (USI), New Delhi. A version of this article was first published by the USI on 19 September 2018 in its web portal under the title “State Succumbing to Terror Dictate Exposes the Vulnerability of Counterterrorism Strategy in Kashmir” and is reproduced here with permission of the USI.